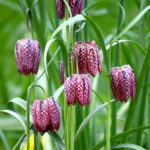 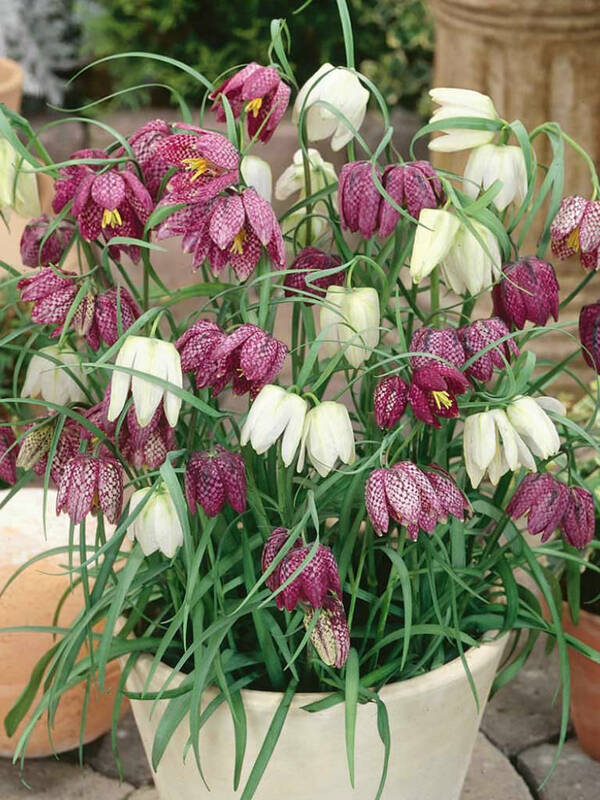 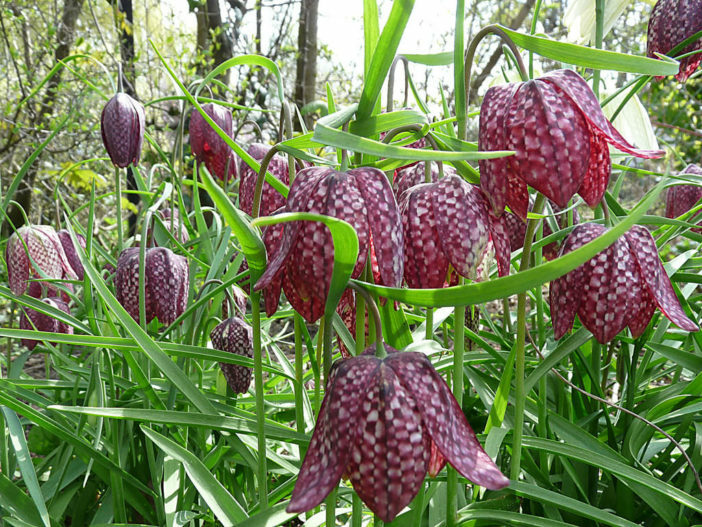 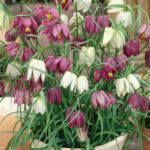 Fritillaria meleagris is a bulbous perennial to 12 inches (30 cm) tall, with lance-shaped, greyish-green leaves. 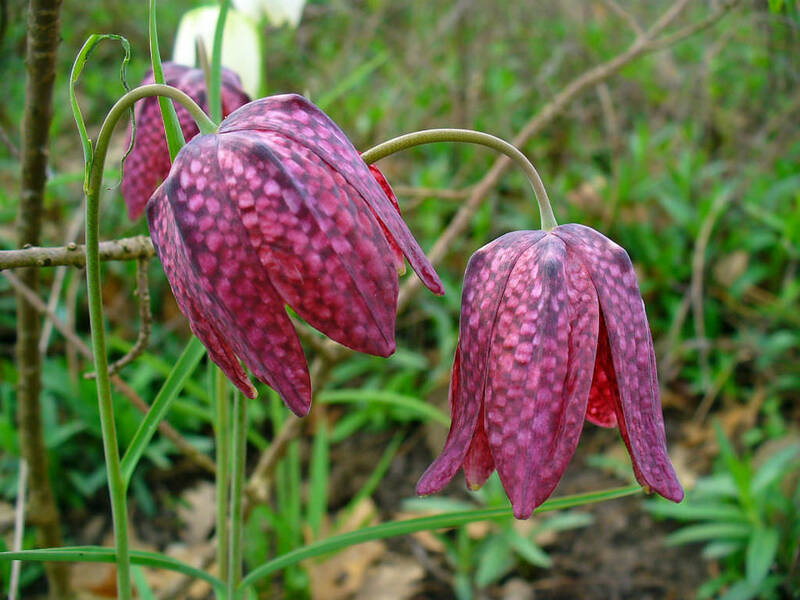 The flowers are bell-shaped with chequered pattern in shades of purple, or is sometimes pure white. 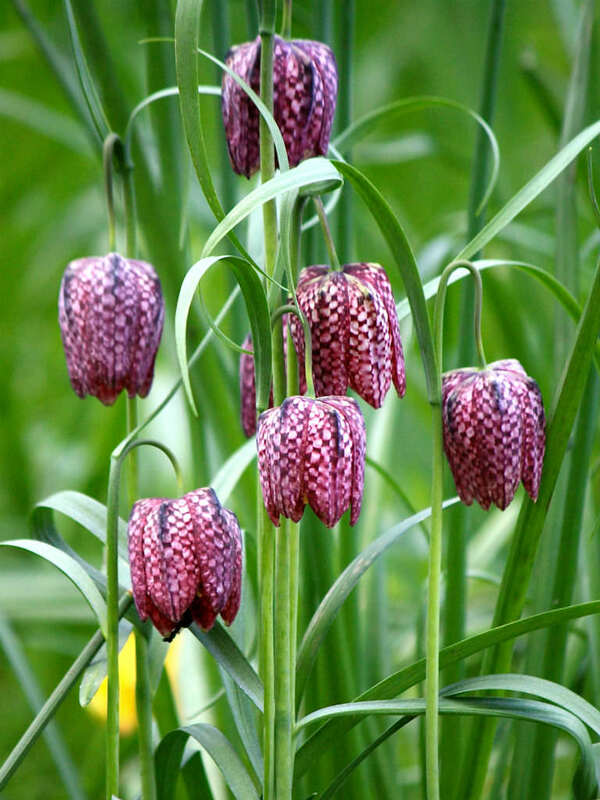 It flowers from March to May and grows up to 16 inches (40 cm) tall. 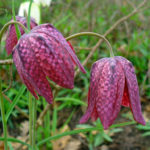 The plant has a button-shaped bulb, up to 0.8 inch (2 cm) in diameter.